We are so grateful for the outpouring of love and generosity that has been shown to our school family. If you would like to make a donation to support the outdoor recreation areas, please use this site. You are welcome to share the site with others. 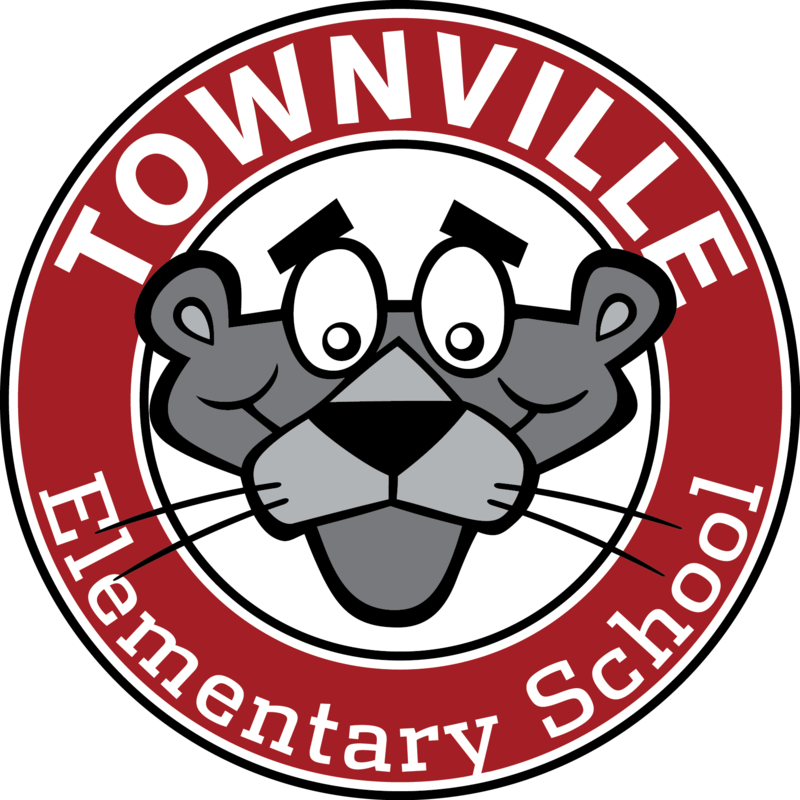 We are #TownvilleStrong! Our 4th, 5th, and 6th grade Robotics team participated in the first Anderson 4 Robotics Tournament at Riverside Middle School this month. 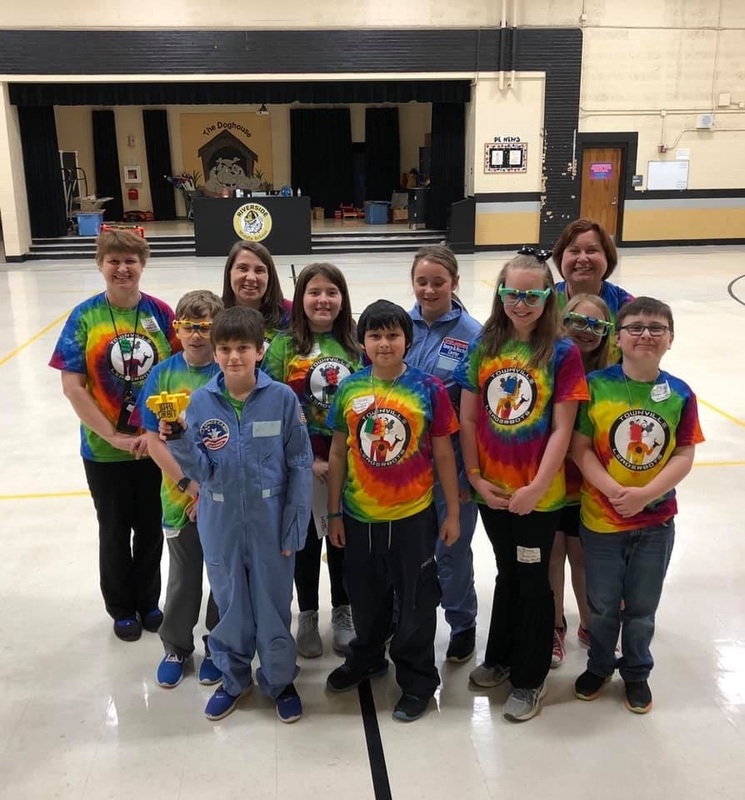 These students, The Townville Leaderbots, were well prepared and ready to accept the many challenges of the competition. TES is proud to announce that our team won the Robotic Design and Game Division and brought back a trophy to display. Congratulations to team members and coaches: JT Robinson, Gabe French, Emma Price, Riley Dixon, Hunter Pointer, Maia Donald, Tess Gosnell, Teagan Caldwell, and coaches Kalary Driggers, Henri Baker, Stephanie Dixon, and not pictured, Janet Jones. Meet the TES Lady Panthers! 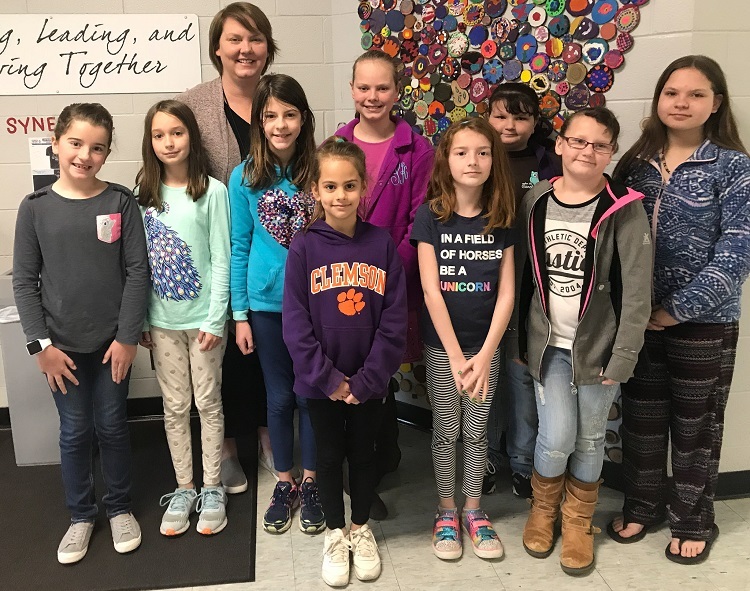 This group of girls led by kindergarten teacher, Kate Price, meets after school to learn all about community service and practicing leadership within our school and community. These girls led a drive for March of Dimes and were able to contribute $763.73 to the organization. Way to go Lady Panthers! 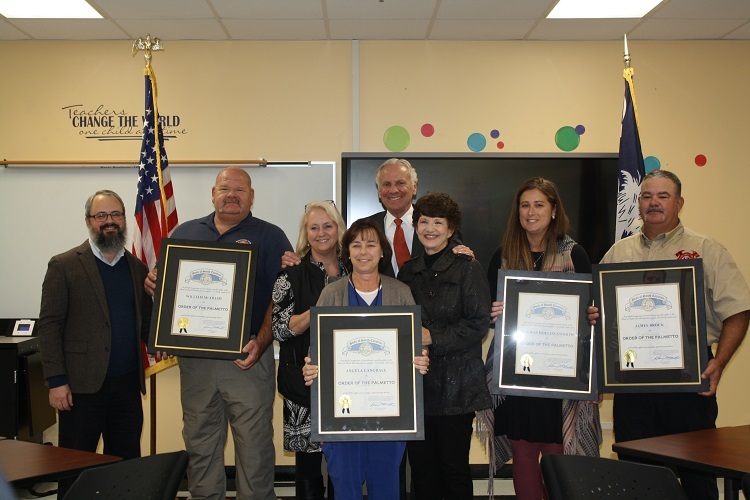 Governor Henry McMaster made a special trip to Townville Elementary School to honor some very special people by bestowing The Order of the Palmetto upon them. This award recognizes those who have served others and made outstanding contributions to the well-being of South Carolina and her people. Thank you to Coach Rus Laven and Coach Jerry Collins! Our Archery teams represented our district well! 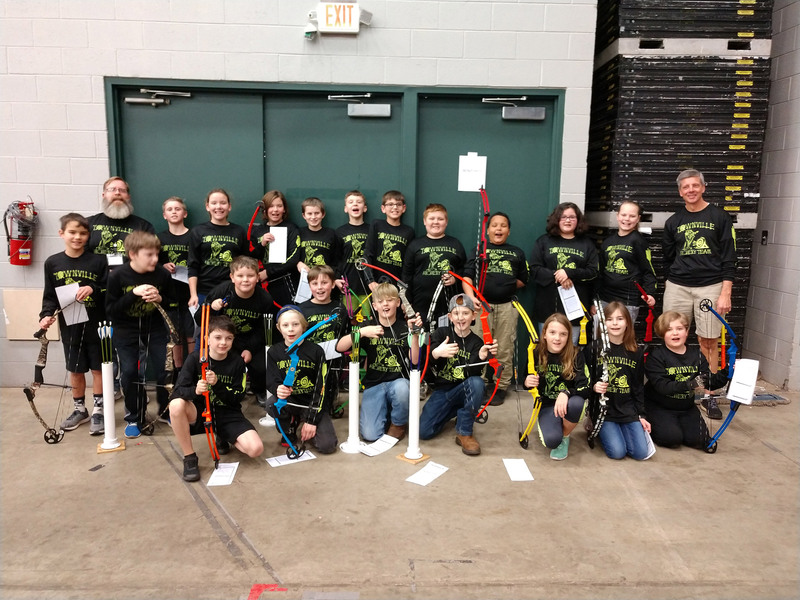 The TES team scored the highest score yet in Townville Archery History! A huge CONGRATULATIONS to some individuals who set personal records as well. Congratulations to the TES members: Joe Cahn, Jackson Bailey, Trent Garner, Bryson Gilstrap, Chloe Braaksma, Lily Whitehead, Kirsten Spake, James Scully, Hunter Pointer, Gaines Buchanan, Nate Wells, Coach Jerry Collins, Logan Kinder, Alex Bryant, Ella Bryant, Garrett Hendrix, Matthew Chapman, Clay Chambers, Jayden Wilson, Emma Polston, Emma Price, and Coach Rus Laven. Not pictured: Lucas McAdams and Lucas Shaw. 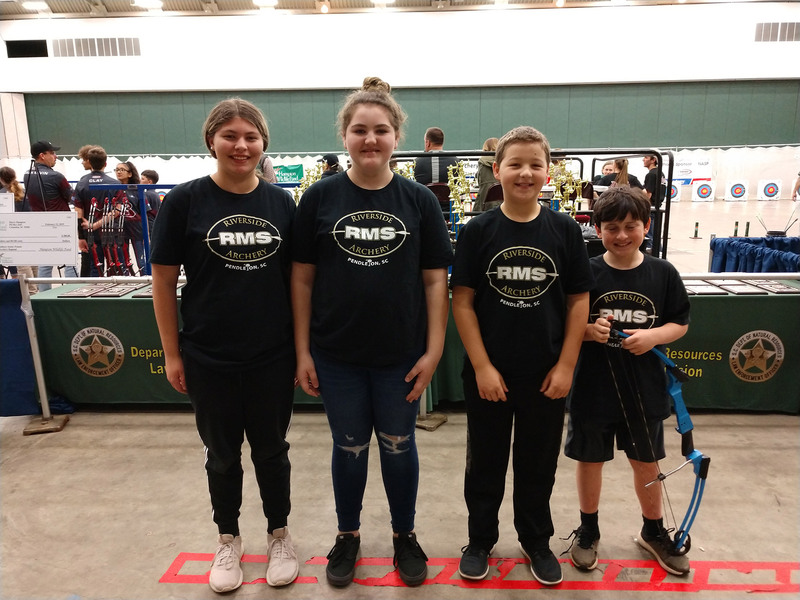 We would also like to recognize our 6th grade students who are on the RMS Archery Team. They were fabulous at State as well. Congratulations to: Yanci Price, Tori Jones, Garrett Hendrix, and Austin Colcolough. Good Luck to all of Anderson 4 at this tournament! 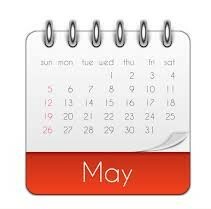 Visit this website for valuable information! 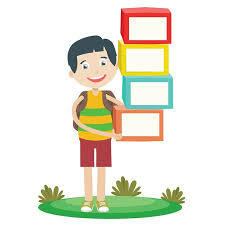 Click HERE to access online activities by grade level.